I grew up on Long Island and we had a boat. We spend most of our childhood on what at that time were deserted beaches along East Hampton and Fire Island. I still love being near the water. Along with my jewelry, my creative side comes out in my cooking. I love to cook foods from India, Morocco and Persia. My favorite state is Vermont. My husband and I are skiers and we spend five months of the year there. I have jewelry in several consignment shops there, as well as in my home state of Maryland. My favorite Caribbean island is Anguilla. I have visited there twelve times and never grow tired of it. I have done a variety of crafting hobbies in the past. 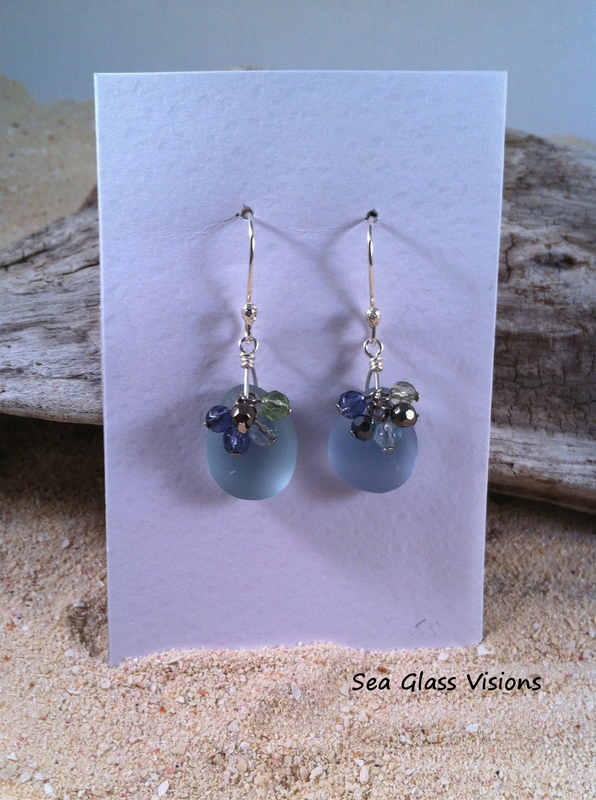 I started creating sea glass jewelry after someone introduced me to sea glass. 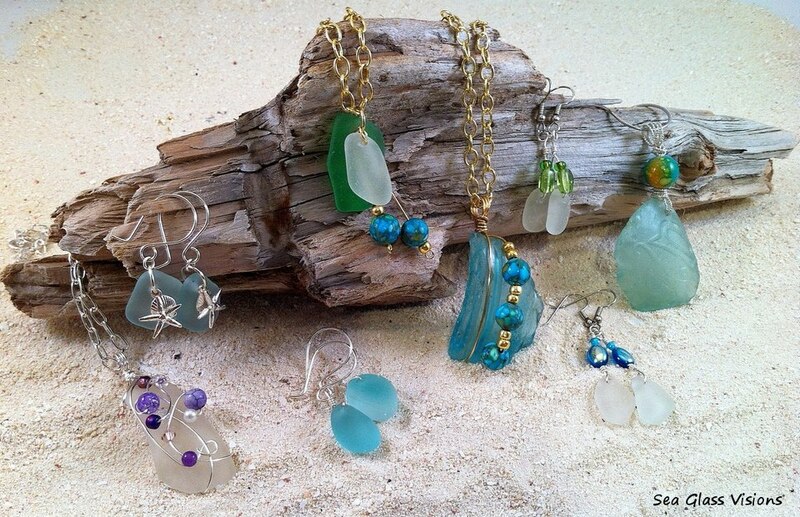 This person had met someone who showed her sea glassing areas and showed her some jewelry she had made. 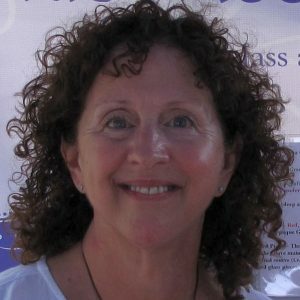 I started using only locally found glass in my jewelry and craft creations. I now include beautiful English multi's and pastels, sea glass from California, Hawaii and the Caribbean. I think the glass itself is the inspiration for me. Each piece is different. 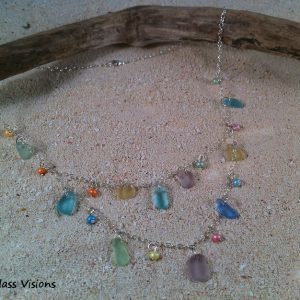 When I started creating sea glass jewelry I used lots of wiring and beading on the glass. Now my style is much more one of honoring the glass, not covering it up so much. 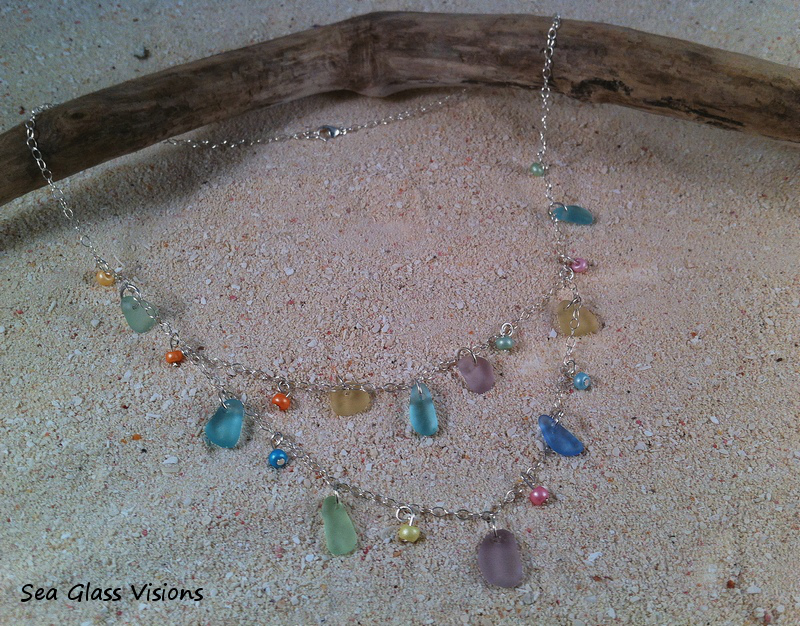 One of my recent pieces is the pastel sea glass necklace I included a picture of. I thought that the pastel glass and the pastel Czech beads were perfect for summertime and I wanted to create something light and airy. I added the second strand to add interest to the necklace. I enjoyed making this fun and decidedly feminine piece. 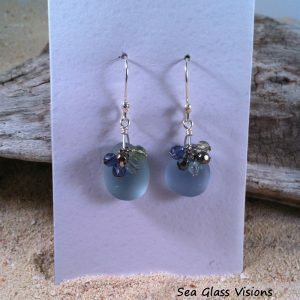 It challenged my creativity and I find myself looking for even more creative ways to use sea glass in jewelry now. 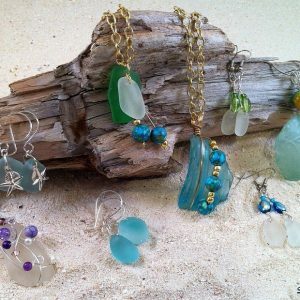 I sell my sea glass jewelry in a variety of ways. 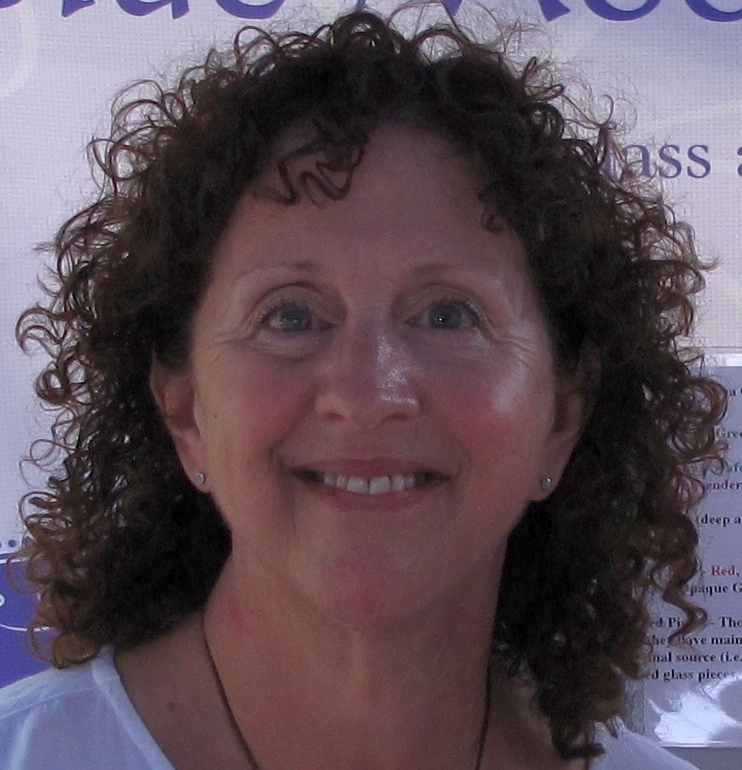 I sell my jewelry in local consignment shops, at craft fairs and online through my Etsy shop. Word of mouth is a wonderful thing. I have had quite a few referrals from prior buyers and I have had buyers contact me and ask for custom pieces. I always wear a piece of my jewelry when I go out somewhere, wearing jewelry is the best way to show it off, and I ALWAYS carry business cards. I have always appreciated handmade items but have to admit that I pay much more attention to handmade goods since I started creating handmade jewelry. I appreciate the time and thought that goes into it and know that I am getting something original.